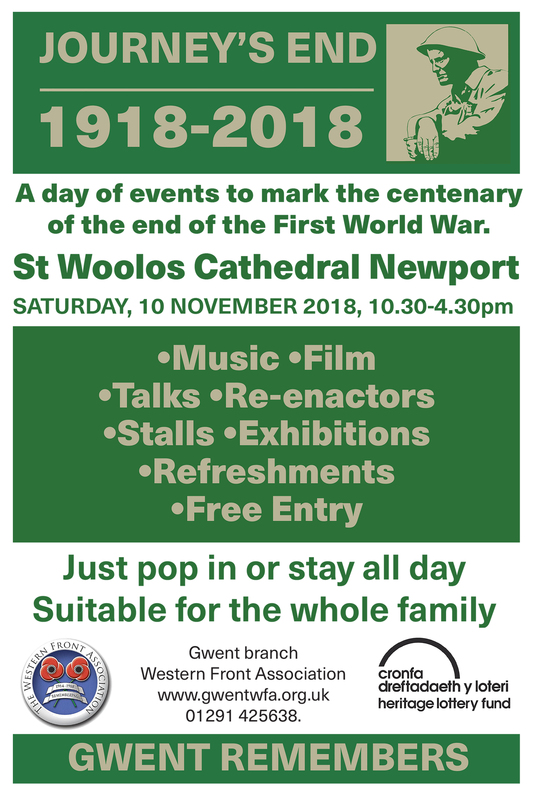 IMPORTANT ANNOUNCEMENT: GWENT WFA SECURES LOTTERY FUNDING FOR 2018 “JOURNEY’S END” COMMEMORATION PROJECT. See below and ‘Journey’s End’ pages for details. The Western Front Association was formed in 1980 with the aim of furthering interest in the period 1914-1918, to perpetuate the memory, courage and comradeship of those on all sides who served their countries during the Great War. It does not seek to glorify or justify war. It is not a re-enactment society nor is it commercially motivated. It is entirely non-political. The object of the Association is to educate the public in the history of the Great War with particular reference to the Western Front. The Gwent Branch draws members from Greater Gwent and surrounding areas. We normally meet on the fourth Wednesday of alternate months. Visitors are always welcome. 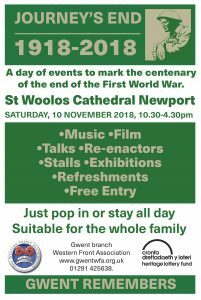 See Events page for details of branch meetings and special centenary events.